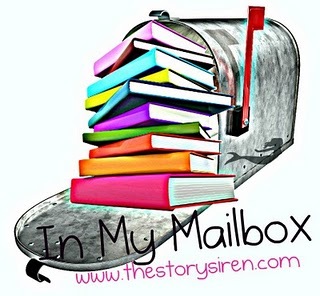 In My Mailbox is a weekly meme hosted by *Kristi* over at The Story Siren. It gives us bloggers a chance to share what we have bought/borrowed/ and received!! So what all did you guys and gals get?? Great books to look forward to. I need to get Matched, it is on the top of my wish list. Another person with If I Stay this week! You're the third now. I'm hoping I like it considering all the great reviews it's gotten. Wow! A lot of books in your mailbox this week! Matched looks awesome, and I love the cover of Fireflies as well. Happy reading! Anna and The French Kiss is one of my favorites books of 2011 so far! I received L. A Banks book last week. I'm looking forward to reading it. We'll have to compare notes! Happy reading! Great mailbox! I really, really can't wait to read Anna and the French Kiss! Happy Reading! Great books! I loved Matched, Anna and the French Kiss and If I Stay. Enjoy! Hey awesome you got Matched and Anna and the French Kiss! Matched was just an average reading experience to me, but I am really looking forward to read Anna, beacuse I only read positive reviews about it, not only single negative sentence in mind. Great books you got this week. Matched looks really good. Hope you enjoy reading all your books.